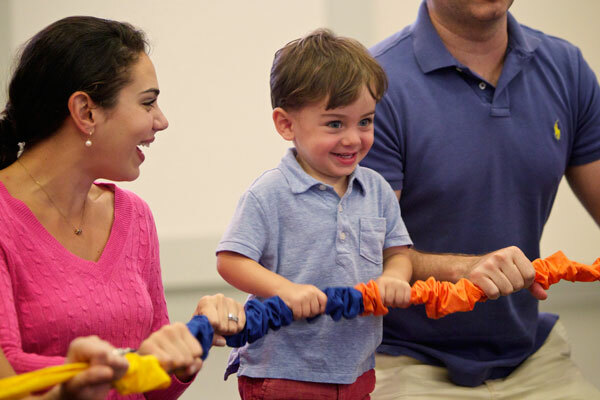 At Music City Music Together Inc., children ages birth to five and their parents/caregivers meet once a week for 45 minutes to sing songs, play instruments, learn chants and rhymes, and dance in a relaxed non-performance oriented setting. Adults enjoy watching their children respond to the rich musical environment we create together in the classroom and the children delight in the musical play with the adults who love them! Recapture your own pleasure in music and movement while you role model for your child and have a wonderful time making Music Together®! Music City Music Together Inc. is proud to announce that Brentwood United Methodist Church Day School (BUMC Kids) and BUMC Center for Children and Families currently offer the Music Together In-school Curriculum! Learn more about the Preschool Program. Spring Family Classes will begin April 15th! Come join us for a FREE class April 8th and 9th at The Monkey's Treehouse in Brentwood! You can sign up for a free preview on our website~ just go to the Classes Page, select the Free Preview Classes tab to view the schedule, and click the Register button to sign up! If you would like to purchase a gift certificate for one of our sessions please give us a call or email us and we will make it happen! We'll come to you and share a one time 45 minute class with your group. This is a free service designed to introduce families with young children to the musical birthright we all share and to provide grownups with important information about how children learn and grow musically. Are you looking to further your child's music education through formal lessons? Or, adult lessons for yourself?